There is an increasing interest in evaluating and defining minimal clinically important thresholds instead of statistically significant differences in studies. This course intends to let you know when clinical significant differences instead of statistically significant outcomes can be a better way to assess clinically meaningful improvement of patients. 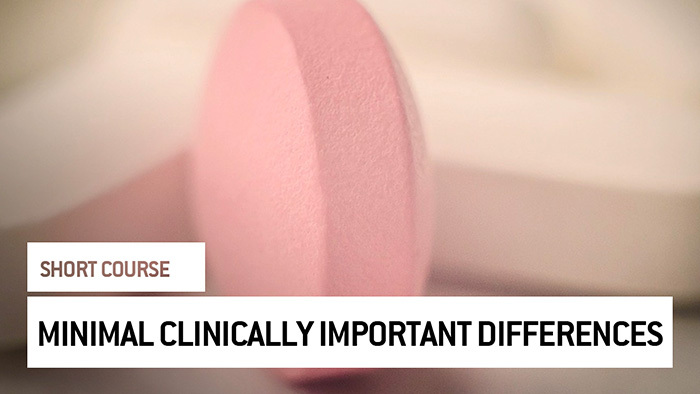 At the end of the course, you will be more familiar with the concept of minimal clinically differences in clinical trials and with areas where these tools are being used.